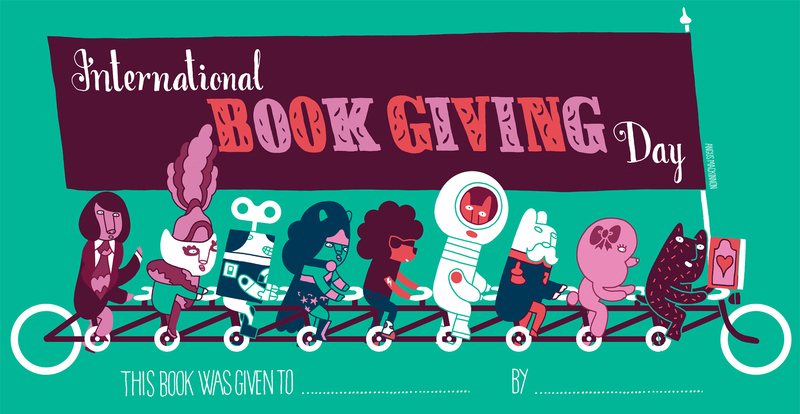 The everso generous picture book illustrator Gus Mackinnon has hand drawn and coloured this bookplate exclusively for International Book Giving Day. I just LOVE its energy, quirkiness and the sense of fun that leaps from those characters on that ever so long bike. Isn’t it brilliant?! What are you waiting for? Follow the link to download & print …. 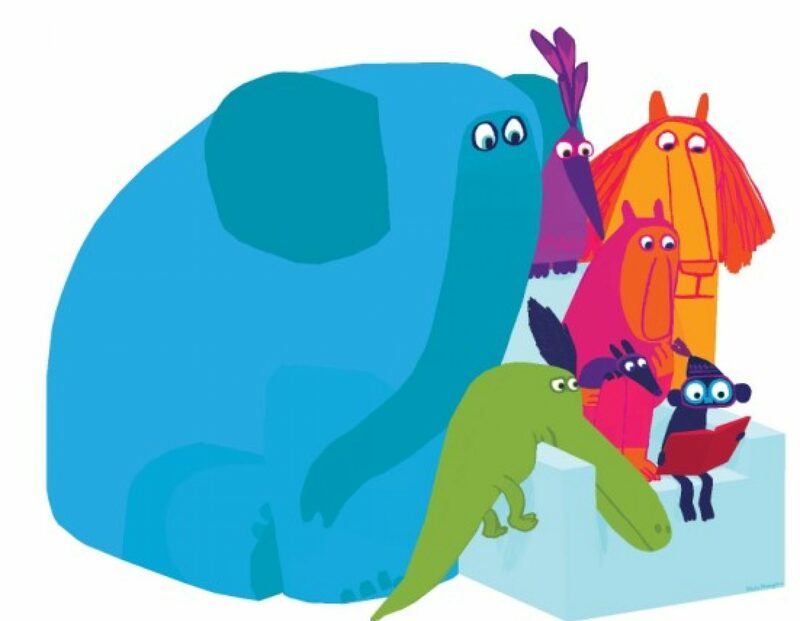 Angus Mackinnon is one half of the Superhairies, a couple of uncommonly hairy individuals who fight boredom by creating imaginative children’s books. You have seen The Weasel Puffin Unicorn Baboon Pig Lobster Race and Dog On Stilts (Digital Leaf) haven’t you?! what they will be doing on Feb 14, 2018. Thank you !